In 1959, popcan was invented by ERNIE.C.FRAZE of DRT Company, Ditton, Ohio. Processing thematerial same as bottle form to a rivet, by which riveted tightly with apull-tab and then matched with a nick. That is how a complete can cap is made. In the past 60 years, can-packing industry had a positionin the market, and the little pull-tab is re-created again and again. 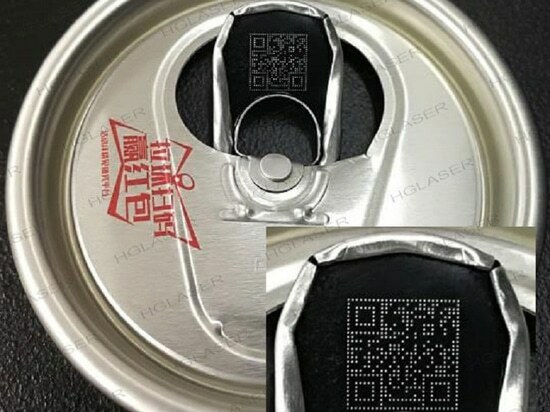 Pull-tab asthe only movable part of can, but information shown on it is limited, thereforeQR code has become a new business opportunity that meets the trend. So many manufacturerschase the QR marketing chance to interactions with their consumers from onlineto offline. On the one hand, companies could accurately target marketingresources through the analysis of consumers behavior. On the other hand,consumers could get virtual items such as red envelopes, points, and prizesetc. by scanning QR code, so that earn real income and increase purchasing desire. 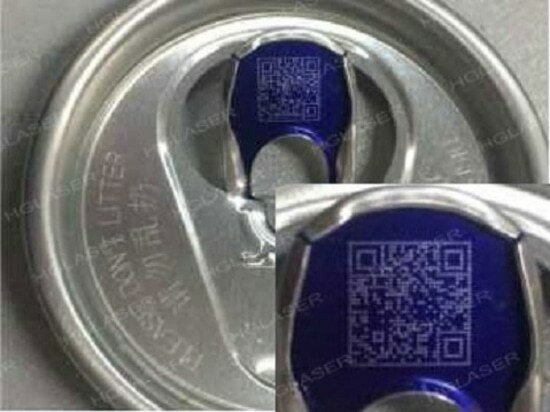 Due to the limited area of pull-tab, clear QR making is amajor difficulty for marketing. Laser marking is a method of using high energy laser beamto act the surfaces, so as to obtain a visible pattern. As the laser beam movesregularly on the surface, while controlling the opening and closing of laser atthe same time, a specified pattern issuccessfully formed. Comparedwith traditional technology, laser marking has the advantages of convenientoperation, more faster speed, clear and permanent, non-contact processing, lowpollution, no wear and deformation, high-speed automatic operation, highproduction efficiency and low cost. 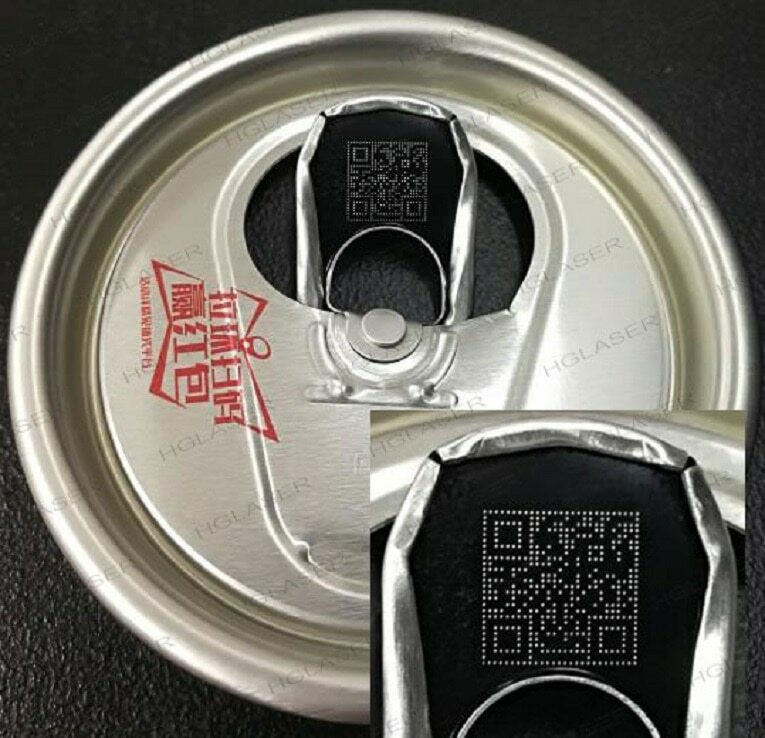 As a high-precision and efficient QR codemarking method, laser marking has been widely used in the packing industry. HG LASER FLYINGLASER MARKING SERIES perfectly solve difficulty of QR marking, and readabilityrate is reached to 99.9% or much more,. 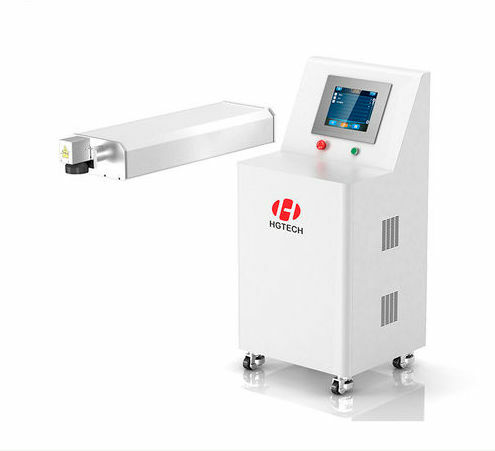 At present,HG LASER is the only supplier that could provide 100 watt 4-channel and combinatorialsolutions in China. 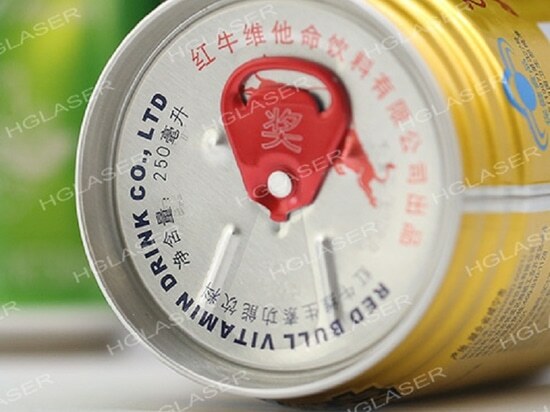 In the area of pull-tab marking, Pull-tab markingapplication cases of HG LASER include Baoying, Yikaiguan, Crown, Boer, ORIGIN,and COFCO packaging and so on. High-efficiency processing. 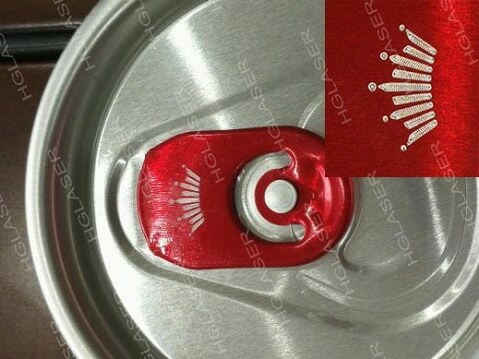 Industries such as beveragesand liquor update rapidly, so the laser marking equipment must also meet to therequirements of production lines. HG laser marking machine, matched with high-speed punchingmachine, 750 rushes per minute, four channels printing at the same time, theoutput is 3000/min within 30MS, and similar competitors only can reach 550-600red / min. Cost-effective. HG laser marking machine, equipped with HGspecial marking software, is powerful, simple and convenient operation. Dataprocessing speed meets a single one million data transmission. At the sametime, according to customer needs to configure domestic and foreignhigh-quality laser source, galvanometer, etc. Perfect solutions. 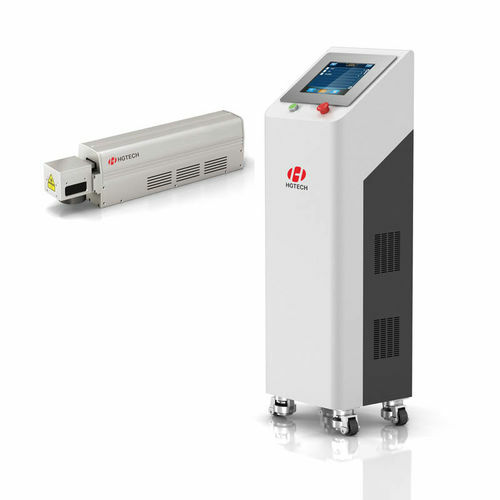 In the field of FMCG, HG Laser, with yearsof application experience, provide customized solutions to customers, includingcomplete coding, identification, fixtures, reject, smoke purification, etc. 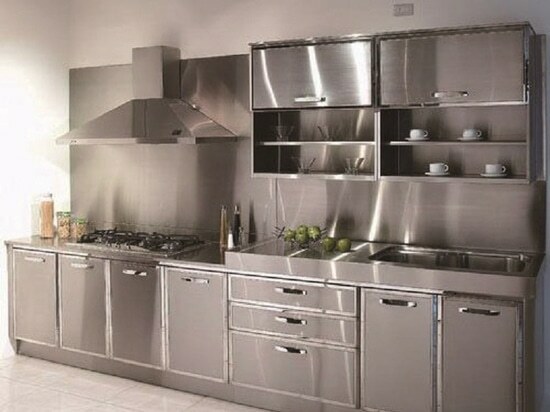 oroperate turnkey projects.